From any angle, this articulating wall mount reflects remarkable form and function. 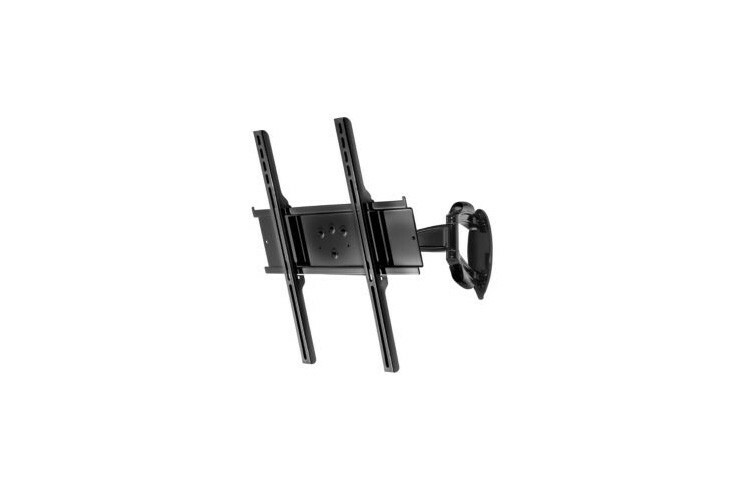 This noticeably smaller and lighter weight universal, two-link articulating wall mount will accommodate a wide range of displays, delivering ultimate performance and maximum support with a minimal footprint. This articulating wall mount’s design features a fold-flat-and-center design that centers the display on the wall plate when the mount is in its closed position. It provides a clean aesthetic with its cable management system that easily hides, organizes and routes cables, focusing all the attention on the display. With an exceptional extension up to 20.18″ (513mm) from the wall and a full 180° of side-to-side motion, this mount provides virtually unlimited viewing possibilities. Installation is made simple with post installation fine-tuning that allows for display alignment adjustments, ensuring the display is level even if the mounting surface is not perfect. Designed and built-in the USA. Arm extends up to 20.92″ (531mm) from wall. Tilt mechanism offers up to +15/-5° of one-touch tilt. ±5° roll aide in post installation display leveling.